Nu River Landing is located on the New River in downtown Fort Lauderdale and is in walking distance to all of the nightlife on Las Olas Blvd. It was built in 2005 and has 408 units. The amenities include a Bar, Bbq/Picnic Area, Business Center, Community Room, Elevator, Exercise Room, Heated Pool, Hobby Room, Exterior Lighting, Sauna, Basketball Courts, Billiard Room, Heated Pool on the 25th Floor and an exclusive Spa. Large pets to 40 lbs OK. May lease right away. 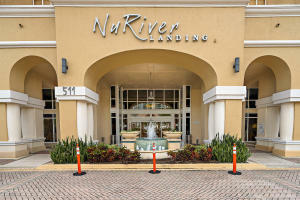 View all current homes for sale in Nu River Landing, Fort Lauderdale, Florida. Click on a listing to the view property details, photos and maps. If you would like to change or expand your search criteria, go back to the Fort Lauderdale search page, or try using our Advanced Search. ENJOY BREATHTAKING OCEAN, RIVER AND CITY VIEWS FROM THIS PROFESSIONALLY DECORATED, FABULOUS 3BED/2BATHS HIGH FLOOR, BRIGHT AND AIRY CORNER RESIDENCE! 2 BEDROOM 2 BATH WITH OCEAN AND CITY VIEWS! 22TH FLOOR SPLIT BEDROOM LAYOUT, TILE FLOORING THROUGHOUT. CORNER UNIT WITH OPEN BALCONY, MASTER BEDROOM NEXT TO NOBODY. KITCHEN WITH GRANITE COUNTERTOPS, STAINLESS STEEL APPLIANCES, FULL SIZED WASHER/DRYER IN UNIT. THIS UNIT HAS STORAGE AND ONE PARKING SPOT ON THE 4TH FLOOR, RIGHT NEXT TO THE ELEVATOR, ON THE INSIDE OF THE PARKING.PREMIER DOWNTOWN FORT LAUDERDALE HIGH RISE CONDO. BUILDING FEATURES ROOFTOP POOL, FITNESS CENTER, INDOOR BASKETBALL & RACQUETBALL COURTS, JACUZZI, SPA, CONFERENCE ROOM & BUSINESS CENTER. MINUTES WALK TO LAS OLAS, NIGHT LIFE & RESTAURANTS! MLS #RX-10500312 Listing courtesy of Partnership Realty Inc. Residents at Nuriver are able to take advantage of all the wonderful things Ft Lauderdale has to offer like dining, cultural and shopping districts.